Hannay stainless steel hose reels are suitable for numerous industries, including dairy, food and beverage, refuelling, pharmaceutical and offshore / marine. Trust our reels because of their resistance to rust and corrosion and the absence of paint, which can chip and contaminate products. 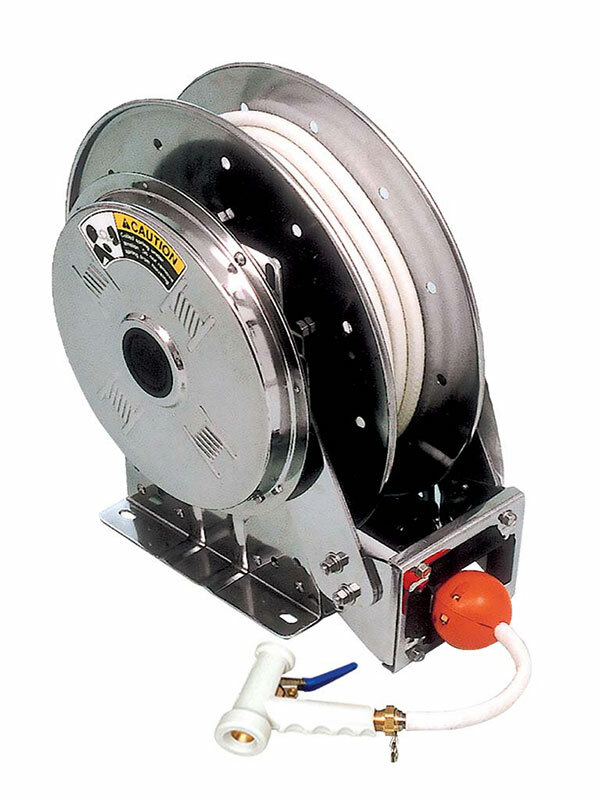 We offer more models and custom designs than any other reel manufacturer to meet a variety of needs, applications, installations, and functions. Every reel is created for the industry it will be used in – never retrofitted to the job. That means you can trust Hannay Reel Tech Reels to provide perfect fit and function for years to come. 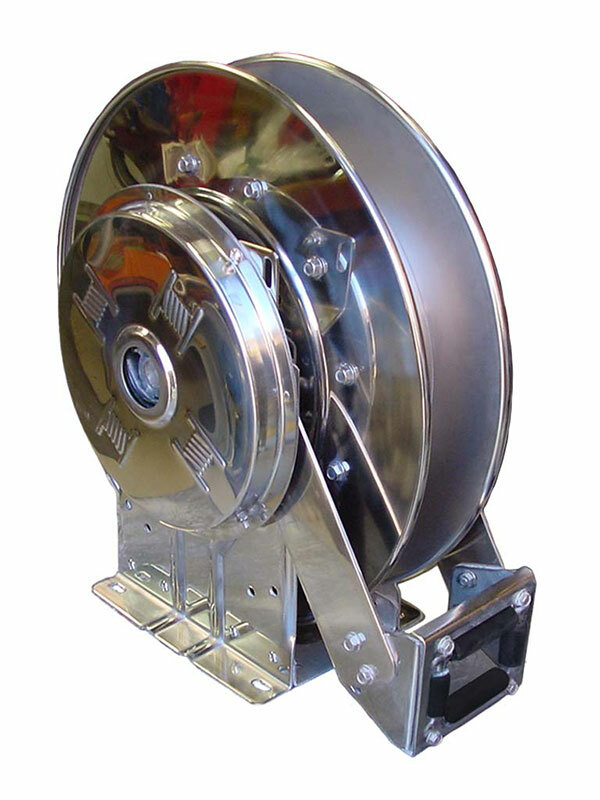 Hannay manufactures their stainless steel reels to industrial-duty design and construction standards using fine grade 304 stainless steel frames, discs and drums, and stainless internals. Because of their exceptional quality, they require only minimal routine maintenance and will not rust, corrode or break down even in the harshest conditions. 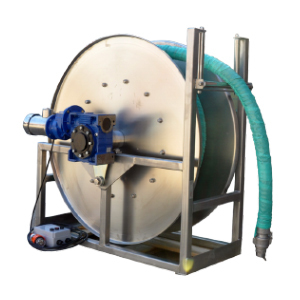 Reel Tech Stainless Steel hose reels have been successful in many, washdown, water treatment, food ingredient transfer, and fluid or air transfer manufacturing processes in food, dairy, wine, and related industries. Because of their exceptional quality, they require only minimal routine maintenance, perform consistently, and last for many years in service. 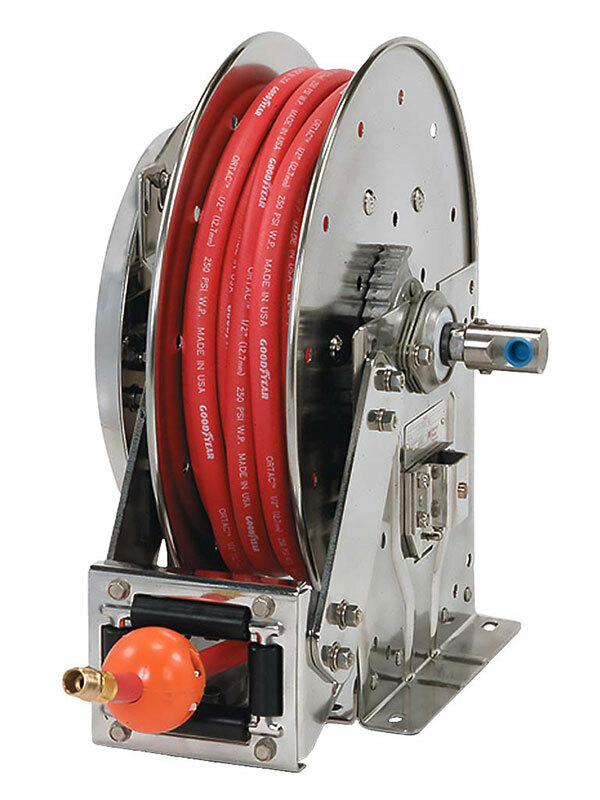 Hannay stainless steel hose reels are made to industrial-duty design and construction standards using stainless frames, discs, drums and stainless internals. They come in a standard unpolished mill finish, or you can specify from satin or polished finishes for the best surface for cleaning and sanitary inspection. Narrow-frame and compact mounting base models are available to maximise real estate. Optional swivel joints, packings, and materials for internals are available for specific products, pressures, and temperatures.